Your one stop shop for ALL your auto repair needs! Dave’s American Discount Muffler Offers Auto Repair Services You Can Count On Since 1989! 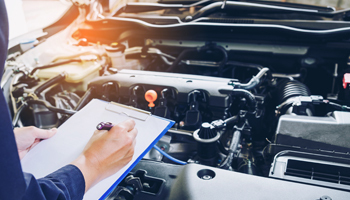 With nearly 30 years of experience working on both domestic and import vehicles of all makes and models, we can work with you to find cost-effective repair and maintenance alternatives. Trust Dave’s American Discount Muffler with your car, truck, or van to get you back on the road! When your car or truck breaks down, our caring staff can get you back on the road fast with reliable auto repair services. We have experience with a variety of makes and models to guarantee a job done right! Let Dave’s handle your auto maintenance needs. Regular maintenance is vital to your car’s longevity; it can prevent future problems and save you a lot of time and money in the long run. 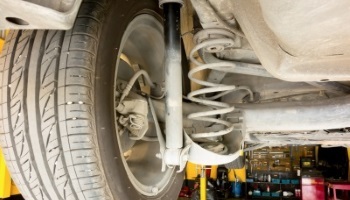 The undercarriage of your vehicle includes parts vital to its operation and safety. If you need your suspension and steering systems, wheels, brakes, or muffler repaired, choose Dave’s! This regular service can seem repetitive, but Dave’s fast and efficient oil change service makes for a better overall experience. We offer affordable prices and reliable customer service. 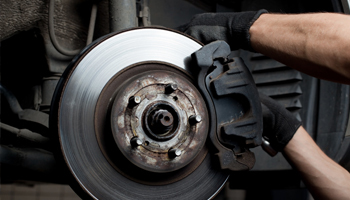 A vital part of your safety, you need someone you can trust to service your brakes – whether it’s pads and rotors or the entire brake system, we have the resources to get the job done right. 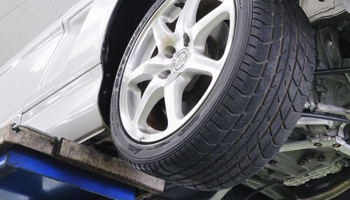 Whether you need a brand new set or you’re just keeping up with maintenance by rotating or balancing your tires, we have the experienced team to meet your needs. Your exhaust can easily become damaged in construction zones or by potholes. 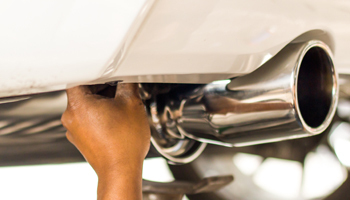 We have the skilled staff to repair or replace your exhaust, depending on the damage. Just one call to our friendly, reliable staff and you can guarantee we’ll be there promptly to tow your vehicle and get you where you need to be. 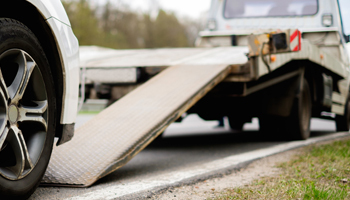 Let us take the stress out of having your car towed. 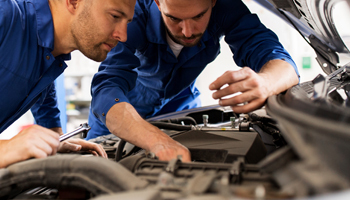 We have the tools, experience and trained staff to service any of your vehicle needs. From brand new cars and trucks to classic and restored models, we have you covered. View all of our services. 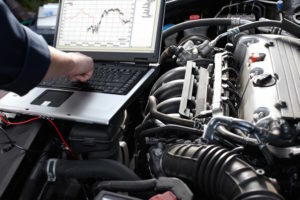 There is nothing more important than to have your vehicle properly diagnosed before starting any repairs. This is where we excel! Countless customers will tell you – there’s no other auto repair shop in SE Wisconsin like Dave’s American Discount Muffler. Visit us on Sheridan Rd in Kenosha for all of your auto repair and maintenance needs. Our mechanics are determined to provide unmatched service so your vehicle is safe and performing at its best. Whether you need an oil change, new tires, muffler repair, or brake replacement – you’re experience with us will be a great one! 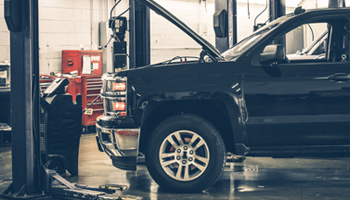 Your car or truck is an indispensable investment; we make sure it runs better and longer. If you notice a difference in the performance of your car, or hear something out of the ordinary, don’t wait to make an appointment at Dave’s. Getting the problem diagnosed and fixed while it’s small will lower your repair bill considerably. Regular maintenance visits to our shop will help delay damage from normal wear and tear and prevent small car issues from becoming big ones. A lifetime of experience helping customers with their auto needs has motivated us to offer the services you want and need; which includes towing and emergency roadside assistance. If you’ve stalled on the side of the road, you don’t have to wait for a tow company you don’t know. Call Dave’s American Discount Muffler for a reliable ride and great customer service. Have you locked yourself out of the car, or run out of gas? Our tow truck drivers will be quick to your side to help. Contact us if you have questions or schedule an appointment for auto repair and maintenance! I had them cut off my stock exhaust tips and weld on some new stainless steel quad exhaust tips that I had. I bought the tips online and they were still willing to do the work for me. Very friendly and did a good job! As a single mom I worry about the upkeep and repairs of my cars. I no longer have to worry now I always bring my cars to Dave – my cars and my children’s cars. I have for years and wouldn’t go anywhere else. Excellent service, fixed right the first time, always works with my schedule and I never have to worry about anything with my cars. ***** 5 star shop for sure! Excellent shop. Competitive pricing, quick turnaround, great mechanics. If anything goes wrong with my car this is always the first place I call.